We do a lot more than just offer the most trusted radon monitors on the market. Our services are comprehensive and affordable. We work with you from beginning to end to help your radon inspection business be both a valuable service, and a profitable venture. Here are some of the ways that our services set us apart from our competitors. A short phone orientation and instructions will familiarize you with using your monitor and submitting your documentation through our system. With easy-to-follow videos and info found in our Learning Center, you'll be ready to run a test the same day you receive your equipment. For an additional fee, you can attend one of our license training courses, specifically designed for the requirements of your state. With access to our convenient portal at http://eradalink.com, you can prepare your documentation either in advance, or after you run a test. The uploaded test data is lab-reviewed and verified for quality assurance. Your client-ready reports are compiled by our technicians to meet the specific requirements of your state, and delivered to you in about an hour. 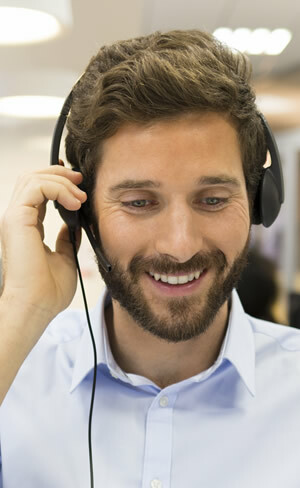 Our phone and email support staff are here to help you with any equipment, testing, or reporting issue you may encounter. We never charge you for ground shipping to make sure that you have working and calibrated equipment in your possession at all times. Repairs and calibrations are conducted in our state-certified lab and service center in Atlanta, Georgia. If your state requires licensing, our online portal will keep your proof-of-license secure and will remind you when renewals are needed. We archive and manage required records for you, so if you face a state audit, we're here to help. If there is ever a question about the validity of your Radalink radon reports, our test verification process virtually eliminates any doubt. Our system helps you meet EPA requirements by automatically tracking the radon exposure levels for your technicians in the field. Get a bird's eye view. You'll find an easy explanation of how our system works, as well as other useful and technical information in the Learning Center section of this website. Learn how to become an affiliate.